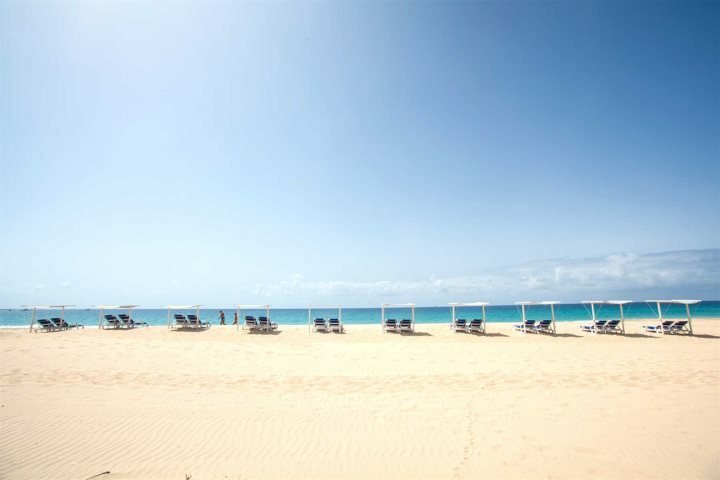 Recently, two members of our Sales Team were able to travel down to Cape Verde to experience first-hand one our fantastic and diverse island hopping itineraries. Carla, who had been to the islands before, but hadn’t visited for few years, was joined by Becky who was experiencing Cape Verde for the first time. The girls visited Santiago, São Nicolau, Fogo, Boa Vista and Sal, giving them an insight into the variety and stunning beauty of the islands. Working in our sales department, the girls were lucky enough to use this visit as a way of updating their knowledge of the islands, as well as the logistics of experiencing an island hopping itinerary with Cape Verde Experience. Take a read below to see what they each thought of their recent trip away. After an early start (and I mean early, a 2am pick up is never nice!) we arrived at London Heathrow to check-in for our TAP flight. Despite the early check-in, you can never beat that feeling you get when you are about to experience something new! 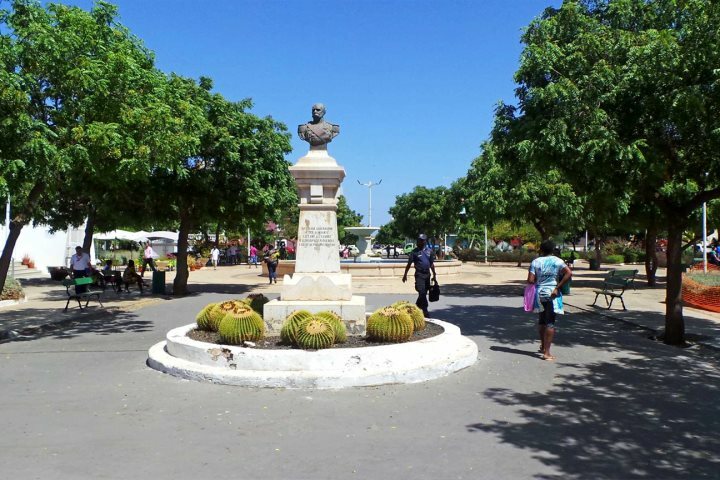 I hadn’t been to the islands for many years, and the only islands I had visited back then were Sal and Boa Vista, so I was intrigued to see what the other islands had to offer, and I was hopeful they’d live up to my expectations. Having worked with Cape Verde Experience for quite a few years, I knew the islands would have changed so much since my first trip away. Having not visited Santiago, I wasn’t really sure what to expect. I knew that the island, in some respect, had two sides to its character. 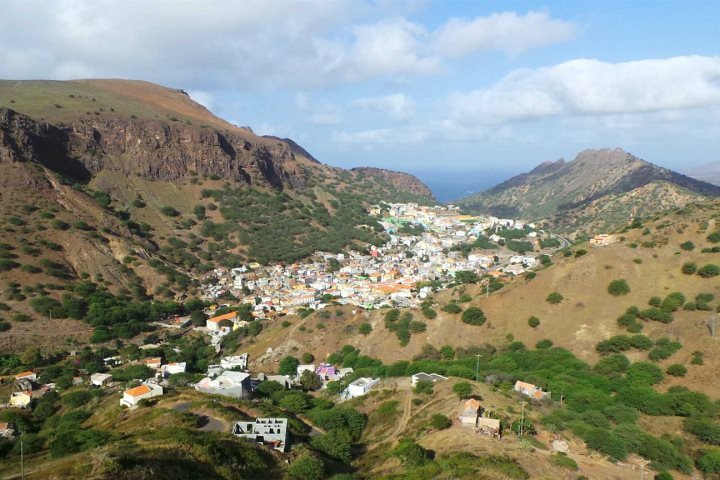 You have the lush green mountains, great for walking, yet the island is home to Cape Verde’s capital, and I wasn’t sure if I would like the hustle and bustle that any regular capital city brings. Well, how wrong could I be! I absolutely loved the island. The first night, we stayed in Quinta de Montanha. The lush green valleys and mountains were amazing. I went on a two-hour walk and ended up in a little village, allowing me to enjoy an insight into this wonderful side of the island. I also loved the history; I don’t think I appreciated how significant Santiago’s role in slavery was, not until discovering it on this trip. Dealing with Senegal and The Gambia, and being aware of the history of slavery in that regard, it made it more poignant standing in the old town (Cidade Velha) at the square where slaves were sold, all those years ago. It is now a UNESCO World Heritage Site and certainly an excursion to book whilst you stay on the island. 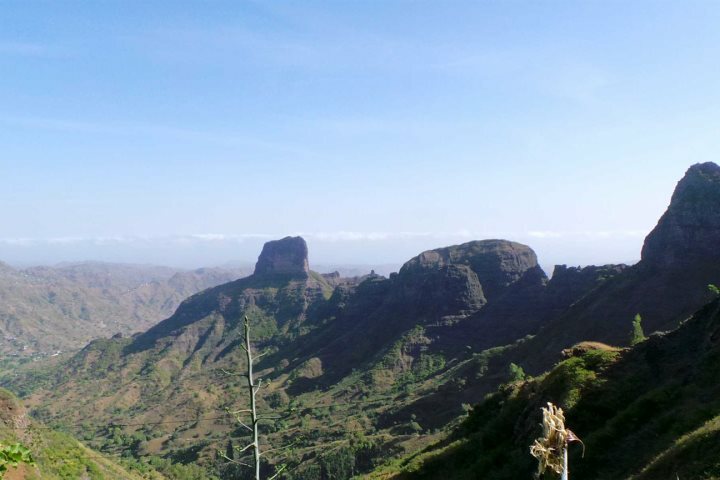 As this was my first trip to Cape Verde, I wasn’t to sure what to expect. Santiago was a really great island to start my island hopping adventure on. There was so much culture and history, including the Cidade Velha and the fort, which was so interesting. We walked around the fort with a guide who gave us lots of information on the history behind the fort and why it was used. We also watched a video with images and footage of the fort being rebuilt over the years. Seeing how the locals came together to rebuild something so important to them was warming. On our second day we took part in a hike. Now I’m not the active type at all, but the scenery was stunning, and the driver kindly decided to take me on a special route whilst the others completed the hike. The tour was great, I saw village life and the most stunning views of Santiago, a completely different view to Praia. It’s amazing to think how diverse the island is. Later during the trip, we also visited the market. There were so many different stalls selling local fruits and vegetables, meats and clothes; it was a vibrant and fascinating place to explore. To finish our time in Santiago, we had a night at Quintal da Musica. I love live music, so this was really up my street! Locals come in and sing with the band, and it’s a really great atmosphere at the restaurant, plus the food was excellent! My first impression of the island as I flew over was ‘wow’, it’s actually a lot bigger than I thought. 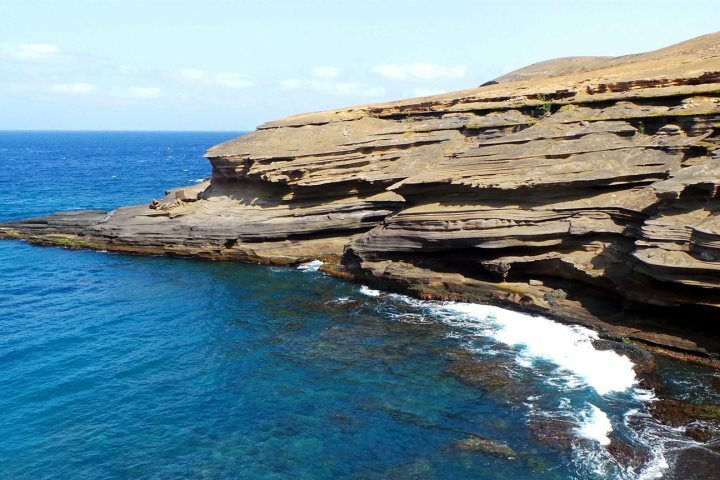 At first it looked quite barren, but once we started to explore the island, the beauty of it really stood out. It really felt like we were stepping back in time and experiencing the local way of life, which I absolutely loved. 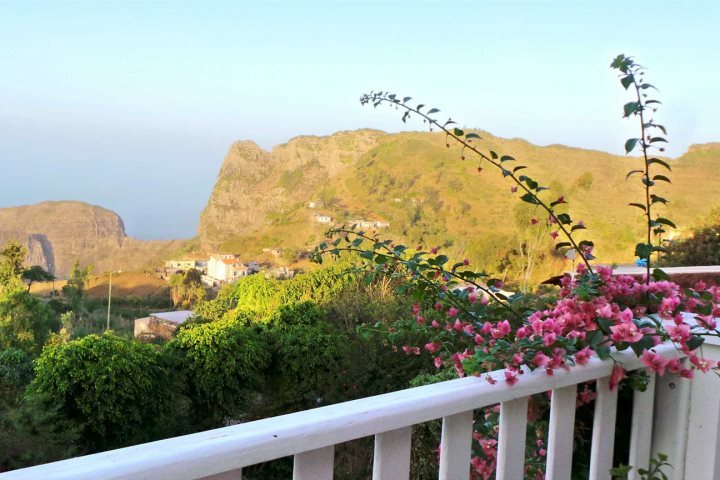 Driving to our accommodation and seeing the Ribeira Brava valley and the sea beyond was stunning. All the bright colours of the colonial town against the green valley, as well as the lovely people, made our experience. It was the first time I had been to that particular island, and I can definitely say I don’t think it will be my last time. On our tour around São Nicolau, we were taken to the amazing rock formation, the Carbeirinho. The drive down to it was a little scary, but well worth the view once we arrived! The colours in the rocks and the blues in the sea were stunning. 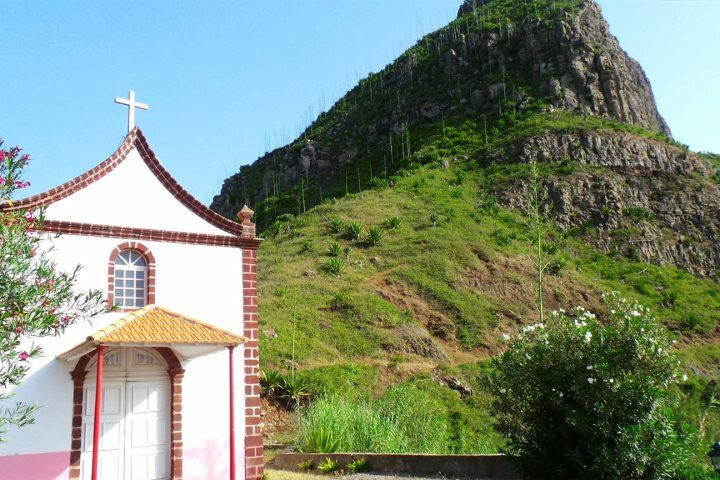 Our guide, Toy, said if you do not go and see the formation, you haven’t seen São Nicolau – he really wasn’t wrong. I absolutely loved this island and would highly recommend anyone thinking of heading to Cape Verde to give the island a visit. The locals were friendly and the colours around the island were beautiful. For me, Fogo has got to be one of my favourite Islands. I have been lucky to have travelled all over the world and I really haven’t been anywhere like it. 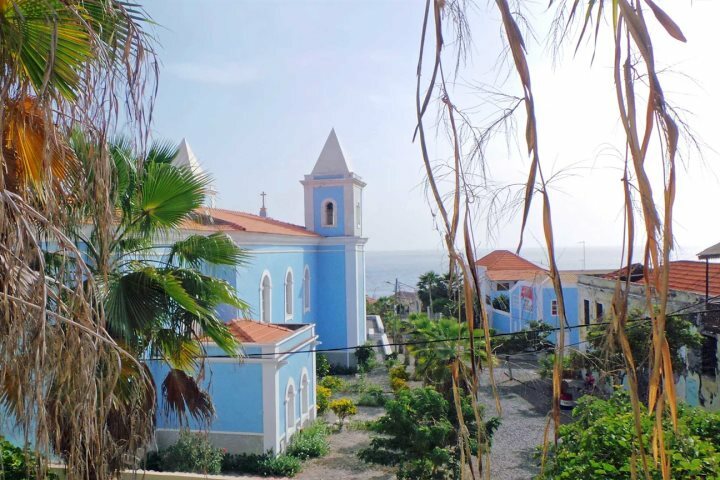 There is so much variety to the island, such as the colonial town of São Filipe, which is one element I personally like, as I love how the Portuguese influence is so vibrant. Then you have the national park, home to dramatic volcanic scenery. 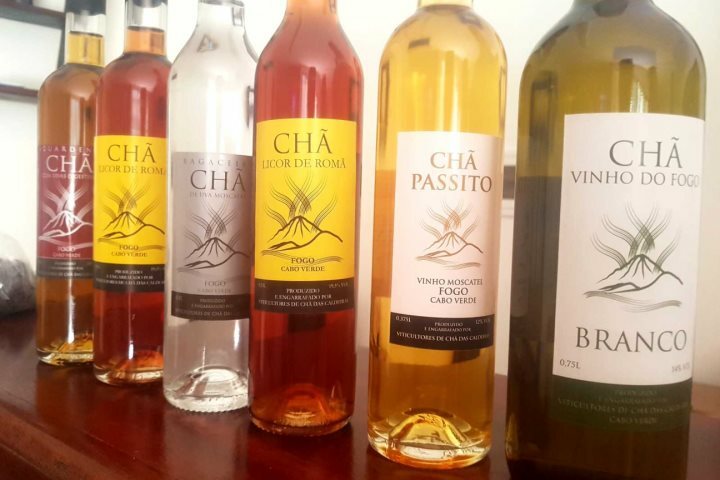 Just sheer masses of lava intertwined with locals, who refuse to be beaten by the fact the volcano is still active, plus, it is here where they produce the most delicious red wine! 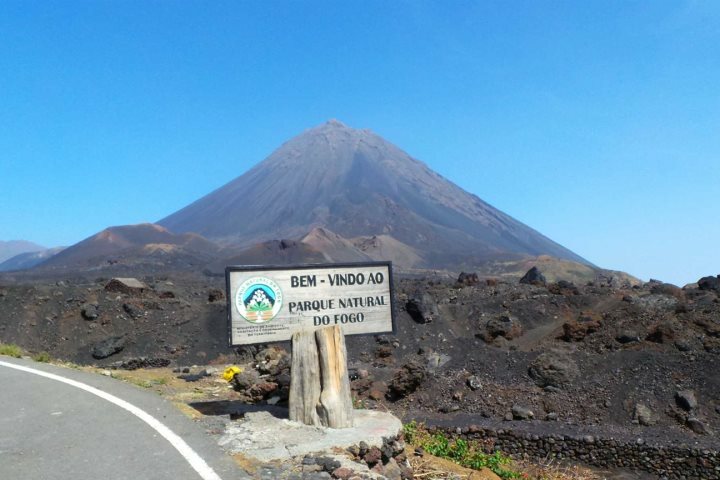 Fogo – just WOW! I have been lucky to see a few live volcanoes, but this island was just inspiring. The colours of lava, the history behind each eruption and the buildings buried by them, was all fascinating and moving. We saw some of the tops of churches and homes under the lava, and a house that the lava poured into. The tour around the national park was by far my favourite thing on this island, every corner you traveled round was home to another story and another scene, I felt very lucky to be able to experience it all. 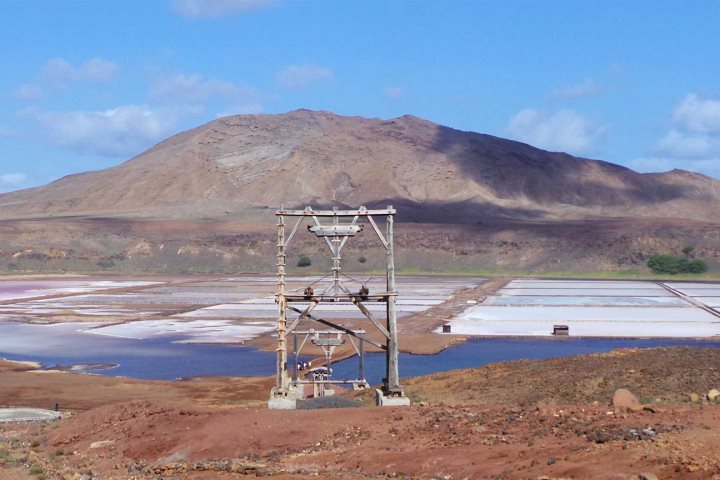 Having visited Boa Vista before, I was intrigued to see how the island had developed. Yes, many more hotels have popped up, and Sal Rei, the capital, is a little bigger than it was before, but I was glad to see it still retained its charm. Boa Vista, for me, really is beach, beach and more beach! There are now a few beach bars too which I think is great, and you can’t beat a day exploring the sand dunes. 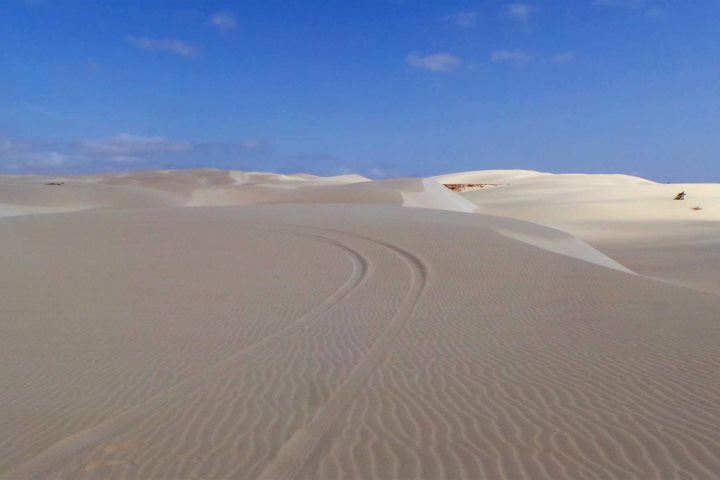 Some of the most beautiful beaches are on Boa Vista, but I also loved that although it was a relaxing island, you can still do some great sightseeing. The shipwreck, the sand dunes and the lovely beach café were the highlights of this island for me. The drive out to the shipwreck and sand dunes was amazing, sat on the back of the 4x4, the sand was never-ending, completely soft and golden. Sal, for me, was the one island that really shocked me the most, but for the better! Years ago, when I first went, there really wasn’t much there. Not many hotels or bars, and sandy streets. I couldn’t believe I was on the same island. Yes, many more hotels, bars and shops have popped up here, but it now really feels like a rewarding resort. I loved the hustle and bustle of Santa Maria, and how, in the evening, the main street is closed at the weekends, with the various bars staging live music which pours out onto the streets. There were countless people dancing, demonstrating the Brazilian influence and Salsa dancing, which was fantastic! Sal had a lot going on, from the beautiful hotels to the amazing town of Santa Maria – if you like being able to go out and eat and experience some vibrant nightlife, this is the place I recommend. 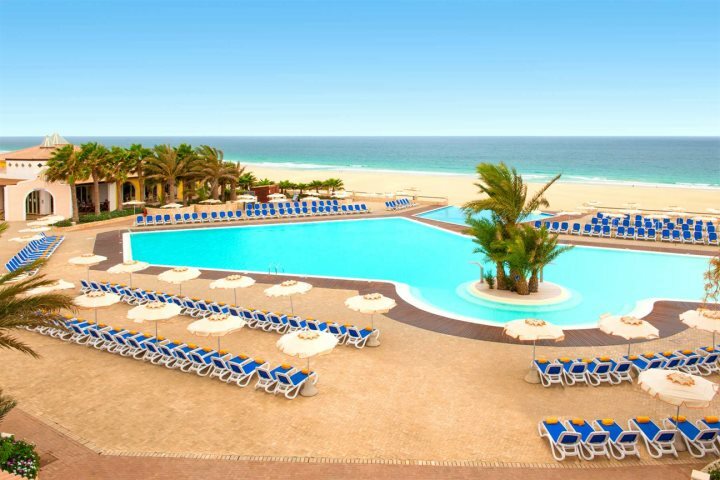 Again, like Boa Vista, I loved that you have places to go out and see whilst staying in this resort. You have the amazing Salt Lakes at Pedra de Lume where you can float in the water just as in the Dead Sea, well worth experiencing. Other attractions not to miss include the Burracona lagoon with its ‘Blue Eye’, Sal’s capital, Espargos, and then onto 'Sharks Bay' to see the sharks in the water. Would you like to experience an island hopping just like Carla and Becky? Take a look at our dedicated Island Hopping page on our website for some extra information and inspiration.